Still loving the blossom in our garden you guys! 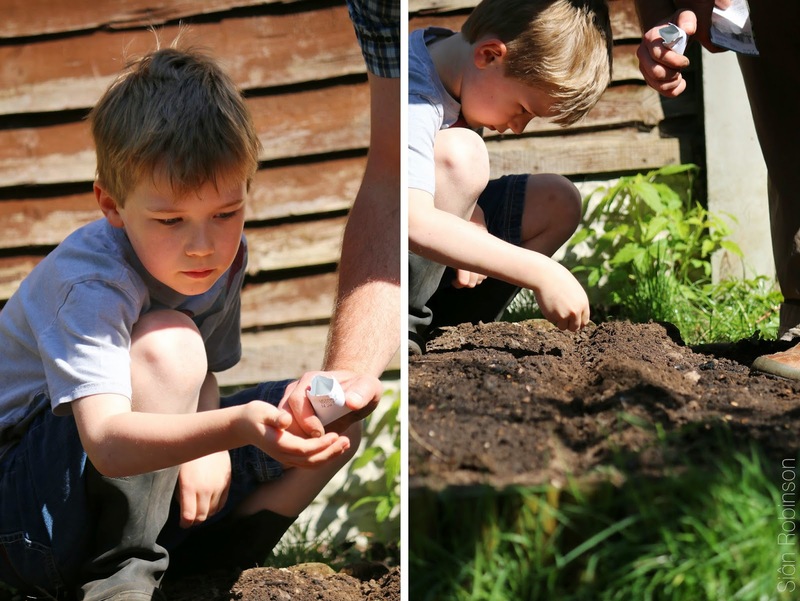 Planting our vegetable patch with the boys!!! Me and Tim both say 'wait and minute...' and 'hang on not yet' over and over. Still I love it and the best part is that it ALWAYS ends with us spraying each other with the hose. Thank you for that Lucas. Um Emily how can I draw like you? Oh that book looks wonderful! I totally agree. I'm always amazed when something grows even though I planted the seeds. I just love it! Looks like you guys are having fun! 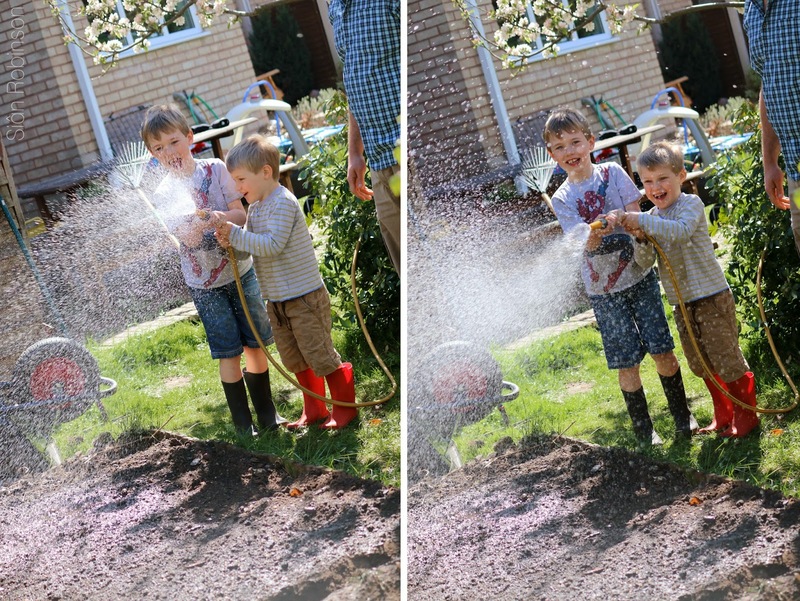 Yey for gardening and water fights! Ack! What fun! 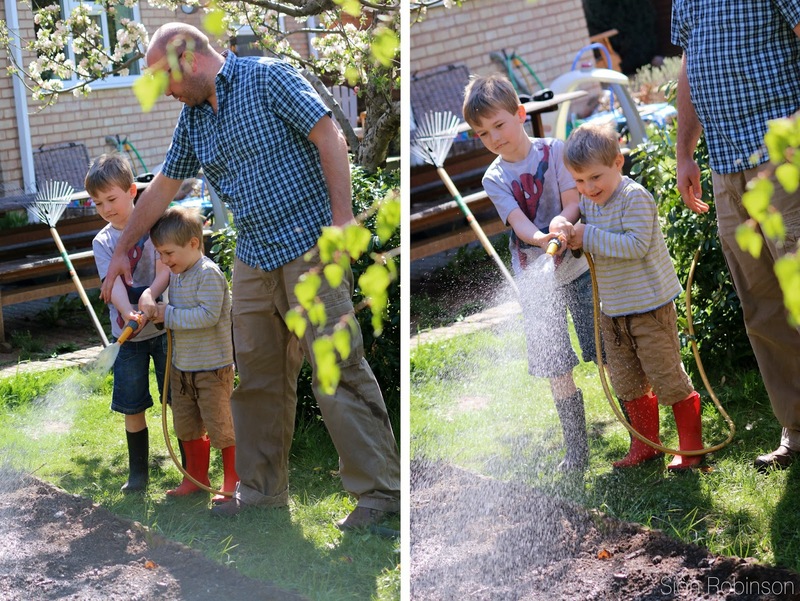 It's inevitable that a boys, dirt, and garden hoses turns to absolute joyful chaos! I'll have to check out that book! The pictures remind me of the 1960's Disney books and animated cartoon style which I just love! 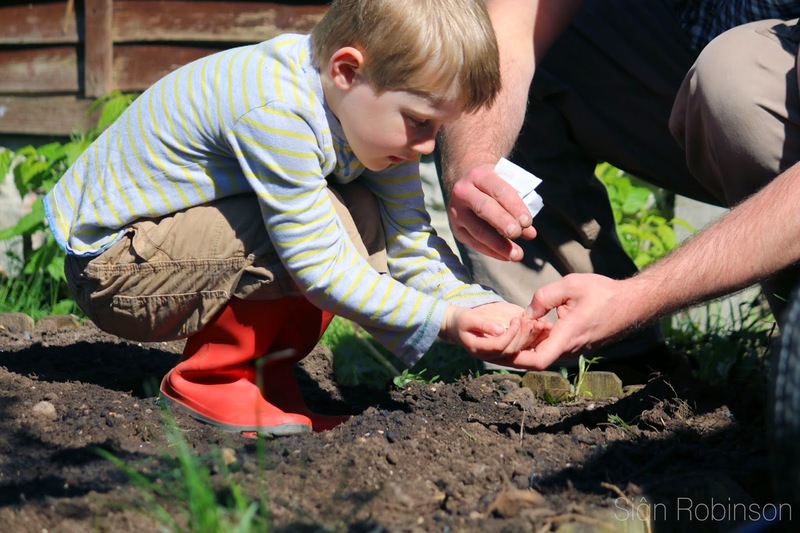 How fun to plant the garden together! 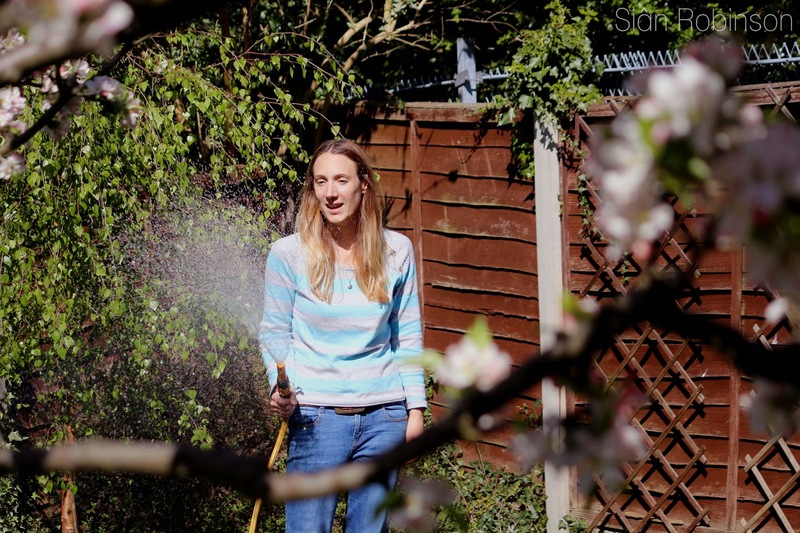 I love gardening and am missing having my own spot of ground to work this spring. Sounds like you guys had quite the adventure! 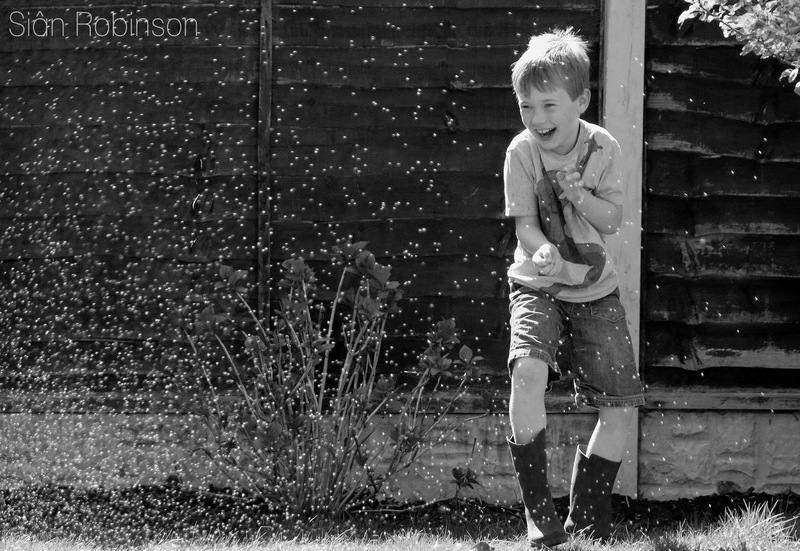 Hehe water fights and gardening a great combination! Thank you for sharing the book it looks beautiful might have to look a buying us a copy. I LOVE that last B&W photo. 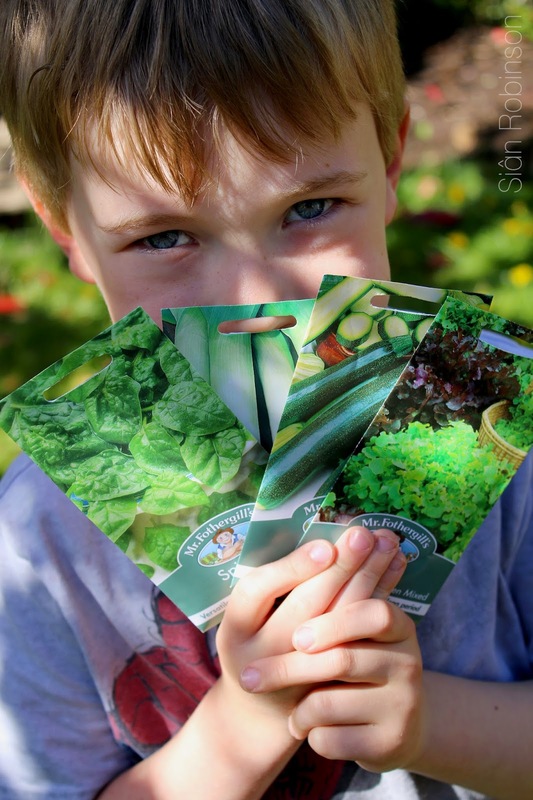 So glad you narrated your seed planting experience because the photos told a completely different story and I would have been madly envious. (Alas, your experience is just as crazy as mine.) Will have to check out that book, looks like a good one!